Marcus Ericsson took some time out from his busy testing schedule in Barcelona to sit down with Badger’s Sarah Merritt and gave us some insight into what he got up to over the winter break, the story behind his retro helmet design, and his hopes for the year ahead. Sarah Merritt: What did you get up to over the winter break? Marcus Ericsson: My plan was to have December off, but that obviously never happens, because there is always something, and everything happened with Alfa Romeo. After that, I had to go to the team a couple of times in December to prepare things for the season. I went training in Viareggio with Formula Medicine and the guys down there, and then Christmas arrived and I was home with my family and friends. I got a few weeks there over Christmas and New Year to just switch off everything and relax. I also opened a sports centre in Sweden in my hometown of Örebro as well. I spend quite a lot of time there. It was fun. It’s nice to switch everything off and you switch your brain off the racing line and just enjoy your time, so that was good. Then in the first week of January I kicked off with the hard training and all the fitness programmes, and obviously going to the team as well quite often to follow up the progress with the new car, but really the focus for me in January and February is all about training and the physical and mental preparation for the upcoming season. SM: So Alex (Elgh, Marcus’s trainer) was working you hard? ME: Alex was keeping me busy, yes. It’s good and I like it as well because normally December has not so much training and we try and recover a bit after the season, which also means that when January kicks in, you’re always so motivated to get going and start training again. It’s a nice time of the year. SM: Sum up last season for me in your own words – challenging? ME: It was a difficult year. We always knew that having the old power unit was going to be a big disadvantage for us. We were hoping not so big, but it turned out it was quite big, especially in the races with the way the power was just too low. It was always putting us on the back foot. That made it difficult because then, even when we improved the car throughout the year, we always knew that we were going to lack on the straights and that’s a very frustrating thing. I still think I proved myself as a driver in a good way. I had a great teammate in Pascal, who was close to getting a Mercedes seat before the season, and then we ended up with us in Sauber. I think we were the two closest teammates over the whole year if you look at the average times, so for me, that was a good thing. Of course, bottom line, it was a difficult year because we were at the back and many weekends we were quite far off the next cars. SM: I can imagine that was frustrating. Now you’ve got Alfa Romeo on board this year, new sponsorship, and a new livery. Everything about the team seems to be well-received on social media now, and there’s a real buzz around it. What are your thoughts on that? Are you buzzing as well? ME: Yes, definitely. I think the team has really taken big steps in all different departments and that’s something that I think comes with Alfa, it is a great motivation as well for everybody on the team, and it’s just a big step up everywhere. It’s really exciting. I’m proud to be a part of that journey as well and be part of Alfa Romeo making a comeback in Formula 1, such an iconic and historical brand. It’s very special. SM: And when you say that everything is a step up, can you feel that when you drive the C37 for the first time? ME: Yes, I really feel that we have changed the concept completely on the car, both mechanically and also aerodynamically. We have really made some big changes, which I think is good, because last year we had the car we had, and it felt like we didn’t have much scope to improve on that concept. We really needed to change that and improve, and that’s something I’ve felt, that it’s really a new car and that’s positive. It will take some time to understand it, but it’s got a lot of potential. 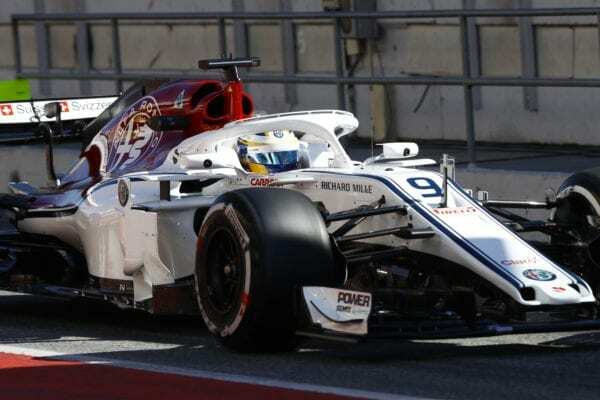 Marcus Ericsson (SWE) Alfa Romeo Sauber C37 at Formula One Testing, Day One, Barcelona, Spain, 6 March 2018. SM: On the Halo, I wondered, now you’ve actually driven with it and you’ve had more experience, what your thoughts were on the visuals? 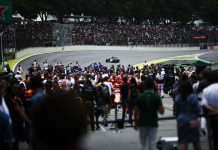 Can you see the start lights when you do a practice start, because of the angle? Getting in and out of the car, is that more difficult or have you got used to that now? ME: For me, to be honest, it’s been no issue at all. A lot of people have been making a big, big fuss about it. It’s a new part on the car that’s there, just like any other part they change every year as things always change in Formula 1. It’s just a new part, and when you drive, you don’t see it at all. The first time it is a bit different but then you get used to it after you jump in the car and jump out as well, so you don’t really think about it either. It’s not something that I have put a minute of my thoughts about. It’s there. It’s there on every car, and that’s pretty much it. SM: You have a new teammate this year in Charles LeClerc, and he’s excelled in all the lower categories that he’s driven in. What are your thoughts are on him, and are you looking forward to driving against him? I’ve seen on the filming days that you seem to get along very well together and there’s a good rapport between you. ME: I started to get to know him a bit end of last year because he was driving in some free practices with us. First of all, he seemed like a nice guy, a humble guy, so I think we’re going to work well together in the team, and for the team. 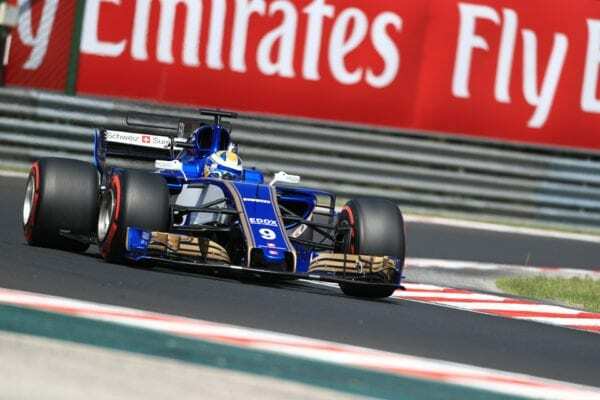 He has a very, very strong CV and has been very strong in all junior categories and won championship races everywhere, so he comes into F1 as one of the best rookies for many years. I feel it is a perfect opportunity to show my skills because he is going to have a lot of expectations on him and a lot of people are going to follow him and how he is doing. I think that’s a perfect opportunity to show my skills as a driver and how much I’ve developed the last few years, so for me, it’s all very, very positive. SM: What goals have you set yourself for this year? Is it realistic to assume that the car is going to make a step forward for you and the team and what do you think is achievable this year? ME: It’s realistic that we just take a decent step because first of all, on the power unit side, it’s a good step. Then, on the car side, we can also make a good step there with this new car, so realistically, we should be able to be in that midfield group, which from what we know is very tight. From the start, we need to be realistic and think we should be in the lower part of that group, but I’d like to think that we are in that group, and not half a second or a second off it. I like to think that we are attached to that midfield group; that’s the first target, and then, of course, we want to improve the car throughout the year, and we have the resources to really push on with the development. For us as a team, that’s our target, and then we want to score points as much as possible and fight for points. I think these are the main targets we have to set. SM: My last question was more about your helmet design. I can see you’ve got a Ronnie Peterson inspired scheme, and it was designed by Sean Bull. How did it come about that you ended up doing a helmet design with him? ME: I’ve always had a similar design during my career, and I didn’t want to go away too much from that, but I wanted to go a bit more old school. I got a bit inspired by Sean because I was following him on Instagram, and I saw the way he did a lot of retro things on his social media channel. He specifically did a 70’s retro album with all the current racing F1 drivers, remaking their helmets to 70’s style, and I loved that. It looks so cool! So I decided to send him an email and see if he was interested to help me out and do something. He came up with some different ideas and I said that I wanted it to be something inspired by Ronnie Peterson, but also keep my core design there as well as all in the colours I’ve been using. We went back and forth with some different suggestions and then we came up with this design which I love. I think it’s a great combination of the modern design but also I love the retro and 70’s in it and all the Ronnie in it, so for me, the end result is something I’m very, very happy about. It looks really nice with the car as well, the way it goes with the white and the red. I think it stands out very nicely. I hope people will like it, and also it’s 40 years since Ronnie died. He died in 1978 in Monza, so it’s there was also a thought in the back of my mind that I wanted to do something a bit with him this year as well. It goes hand in hand with that. 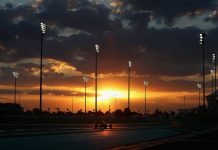 Next articleF1 Testing Round-up: Who’s ready for Melbourne?